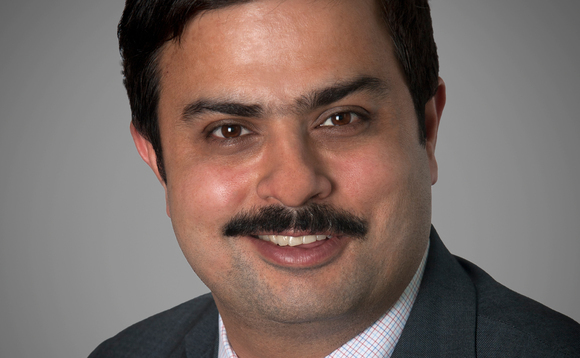 There are still strong reasons investors should consider Asian markets despite certain ongoing concerns about how individual ones may be behaving in the near term, argues Rahul Chadha, co-chief investment officer at Mirae Asset Global Investments. As a member of the manager’s Investment Committee he helps oversee the Asia Sector Leader Equity, Asia Pacific Equity, India Sector Leader Equity funds. Acknowledging headwinds such as the impact of the stronger dollar, concerns about the US Federal Reserve raising interest rates, and debt levels globally still acting as brakes on stronger and faster global economic recovery, Chadha points out that the Asian region is one of the biggest beneficiaries of cheaper oil and other commodities. Meanwhile, each of the key economies in the region put forward their own particular reason why investors should pay heed. China, Korea and Taiwan are pursuing structural adjustments. India under prime minister Narendra Modi is seeking to remove bottlenecks to development. And the Philippines and Indonesia among the Asean members look most interesting. Some, like Thailand, are expected to experience significantly higher GDP growth rates by 2016, compared to 2014. Politically, the region has been through a period of change, which augurs a period of relative stability – for example in India and Indonesia. Surprisingly, perhaps given it is the most populated region in the world, demographics are also a key factor according to Chadha, offering further pointers to the markets that investors should look to. The Philippines, Indonesia and India look better in this respect than the likes of China, although none look as bad as Korea or Japan. However, Chadha adds that demographics as a factor alone is not enough – good governance is also important for creating the right environment for economic growth. China’s outlook is generally benign, but with a few key challenges. The country is balancing concerns about growth rates along with the policy intended to shift the economy towards consumption. Meanwhile, it is edging closer to capital account convertibility, with the development of the Hong Kong – Shanghai Connect to facilitate investors buying listed stocks, and encouraging investing in infrastructure through the Asian Infrastructure Investment Bank. Chadha notes that China offers both the ‘bad’ story, such as overcapacity in steel, but also a ‘good’ story in, say, the share of electronics globally that are now made in the country. Evidence of the strength of its output include continued imports of Chinese made goods into other Asian countries, despite depreciation of their own currencies against the renminbi; that is because few are able to compete against the sheer spread of goods on offer from China, Chadha suggests. China’s continued emergence is doing to Korea what Korea did to Japan previously, Chadha notes. But Korean brands and culture in, say, areas such as pop music are what attract him as an investor. Otherwise, Korea and Taiwan share similar challenges in that they face weak demographics and relatively high levels of debt. From a stockpicking perspective, Chadha expresses concern over factors such as the commoditisation of smartphones, which could undermine technology exports by Korean firms. Chadha is more upbeat on the overall prospects for India. The government’s reforms look set to boost manufacturing by easing bottlenecks, including those caused by bureaucracy, improving infrastructure, and lifting more households out of poverty. ROE improvements would lead to PE re-ratings, the data presented by Chadha suggests. Outside India, Chadha identifies the Philippines as offering the most positive opportunities, with growth in areas such as business process outsourcing and tourism. In terms of themes, the available data from sources such as the World Bank point to accelerating growth in the GDP per capita available to drive consumption. An estimated 1.18 billion Chinese will be on a per capita GDP of more than $8,000 by 2020. In response, sectors such as healthcare and cosmetics are booming. More broadly across Asia, however, the growth in the number of households with annual income up to $10,000 is an opportunity for local multi-national companies, which can compete effectively against global multi-nationals by offering cost effective local goods and services. The growth of ecommerce is increasing opportunities for investors in services such as QQ/WeChat, even as local firms benefit from the trend to outsource found in Western markets. Looking forward five years, Chadha expects China to hit its goal of getting the renminbi to become convertible, even as capital surplus economies in the region look to grow their investment into other countries. Investors looking to qualified institutional investor quotas for access to the Chinese market may be simply bypassed by the speed at which change to investment infrastructure and policymaking is happening, Chadha adds. That said investors still need to do relevant due diligence when investing in Chinese companies in areas such as corporate governance given continued measures to ‘professionalise’ management of companies.